Home to more than 400 breweries, 100 wineries and 80 distilleries and counting, Colorado's ground zero for locally produced libations. Tours and tastings at these great Colorado breweries, wineries and distilleries and many more across the state are generally free. What we can’t guarantee is that you won’t dip into your pocket to pay for bottles to take home. Colorado’s beer industry has been brewing for decades. With so many breweries statewide, sampling suds has never been easier. The MillerCoors brewery tour in Golden should be at the top of your tour list. Combining two of America’s brewing giants, Miller from Milwaukee and Coors in Golden, the MillerCoors organization represents 200 years of brewing history. Learn that history, as well as the malting, brewing and packaging processes of their Rocky Mountain facility on a 30-minute tour, where the finale is a frothy, hoppy beverage. Call 303-277-2337 to confirm tour hours; tours are not conducted on Tuesday or Wednesday. Claim to fame: The world’s largest single-site brewery. Discover how a Budweiser is brewed and packaged at Anheuser-Busch’s Fort Collins facility, one of the brewer’s 12 U.S. breweries, which also happens to be the home of its world-famous West Coast Clydesdale team. Call 970-490-4691 to confirm each day’s tour schedule and to check if the clydesdales are in town. Claim to fame: In the early 1870s, the first American brewer to use pasteurization was Adolphus Busch. Today, Anheuser-Busch maintains a 48.3 percent share of U.S. beer sales to retailers. To experience a brewery that mandated having fun and environmental stewardship as core values, visit New Belgium Brewing Company in Fort Collins, the birthplace of Fat Tire. Reserve your spot online for tours of the Liquid Center available Tuesday–Saturday, where you’ll get a first-hand view of some of the magic that makes New Belgium an industry leader. Claim to fame: Belgium-inspired brews crafted in the first wind-powered brewery in the United States. Colorado vintners are developing award-winning wines from grapes nourished in Colorado’s low-humidity, high-sunshine climate. On the north side of Denver, family-owned, award-winning Balistreri Vineyards welcomes guests to its newly expanded tasting room daily. Whether you want to experience their entire flight or pick and choose, they’ll make you feel at home and at ease no matter if you’re a wine novice or aficionado. Claim to fame: Sulfite-free award-winning wine. This Grand Junction winery is open daily for tastings. The owners and winemaker are typically on hand to answer questions or to give tours of the facility where award-winning wines are nurtured. Claim to fame: Romantic setting at the foot of the Colorado National Monument where you’ll feel like you’ve been transported to France. You’ll feel so cozy at the Carlson Vineyards’ tasting room in Palisade, housed in a 1930s-era fruit packing shed, that you’ll feel like you’re part of the family chatting with Parker Carlson and his staff to get insight and tips about winemaking while you sample their exquisite wines. 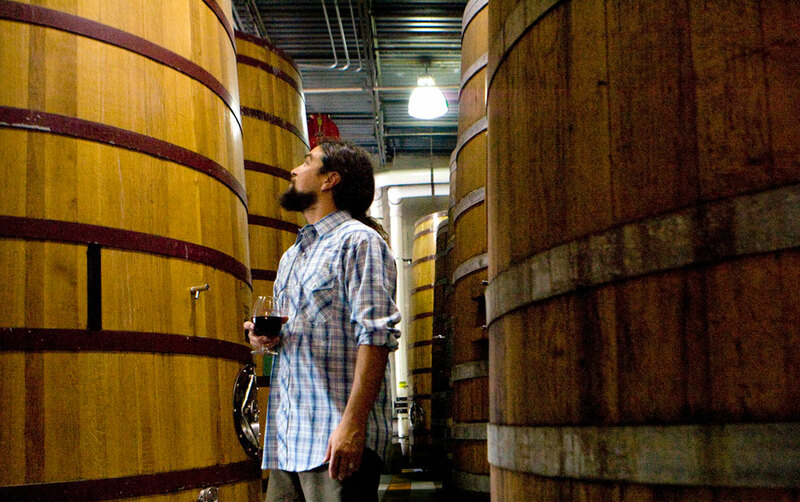 Claim to fame: Capturing Colorado-grown fruit flavors and aromas in the wines. Enjoy a tour and swill some spirits courtesy of talented distillers who infuse Rocky Mountain water and ingredients into alcohol so smooth there’s no problem serving it straight. As the first micro distillery dedicated to making handcrafted premium whiskey in the Rocky Mountain region, Stranahan’s Colorado Whiskey, just south of downtown Denver, caps off a 45-minute tour of the brew, still and rack houses with a taste of its liquid gold. It’s the perfect warm-up on a cold winter (actually, any) day. Online reservations are highly recommended. Claim to fame: First Rocky Mountain region distillery dedicated to premium whiskey. You’ll find Peach Street Distillers just 37¾ miles from Utah in Palisade, the region known for its premium fruit-growing conditions and thriving wine industry. Three friends, Rory, Bill and Dave, founded the distillery and use Olathe sweet corn and a custom-made copper German pot still to create vodkas, brandies, gin, bourbon and more. Many of their products are produced in limited quantities, so a visit to the tasting room might be your one and only chance to experience them. Call ahead to schedule a tour, as impromptu tours can happen, but are not guaranteed. The tasting room is open daily. Claim to fame: Colorado Straight Bourbon, the first legal bourbon in the state.